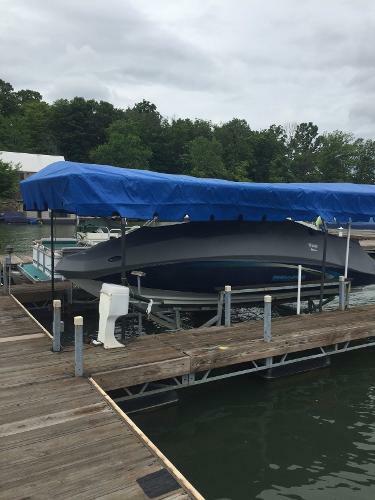 2008 Sea-Doo 230 Challenger SE (430 hp) This fabulous 2008 SeaDoo Challenger SE and ultra-reliable twin 215hp Rotax engines are lake ready! 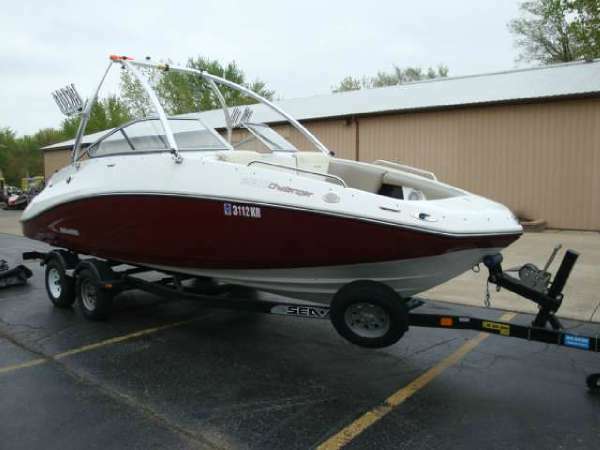 Featuring a bimini top, snap-in carpet, in-dash depth sounder, tilt steering and tandem trailer. 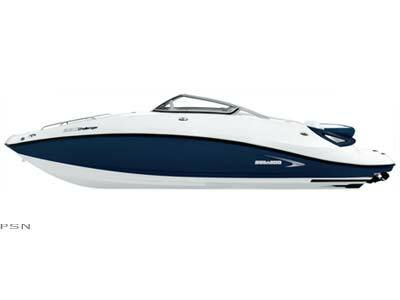 It passed our rigorous on-the-water testing and 51-point mechanical resale inspection with flying colors. 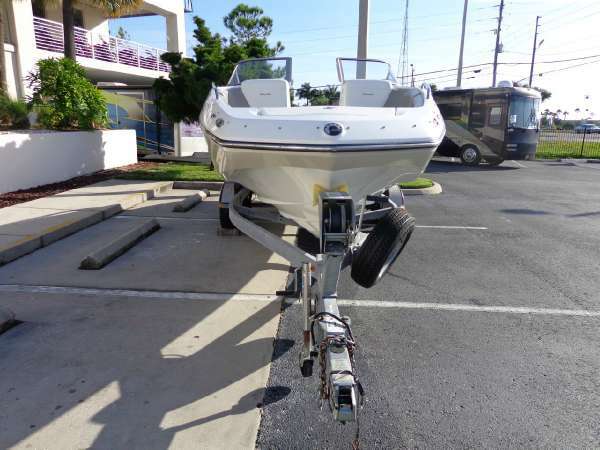 All Maintenance is up to manufacturer recommended specification and this boat shows very well. 23 feet of immeasurable fun. Since the weekend is only 48 hours long, you’ll need a versatile boat that makes the most of every second. Enter the incredibly smooth 230 Challenger. Time spent on a 23-foot (7.16 meter) boat with massive interior space is the only way to spend your time off. Its elegant lines, gorgeous curves, and exciting new color choices make for a rare combination of looks and personality. And in 2008 a long list of features including the Fold ’n Stow door and optional wakeboard tower only gets longer with the additions of a walk-through transom and MP3 port. So whether you have a big family or just lots of friends, hop on a 230 Challenger and make two days feel like forever. - Plus prep, tt&l. 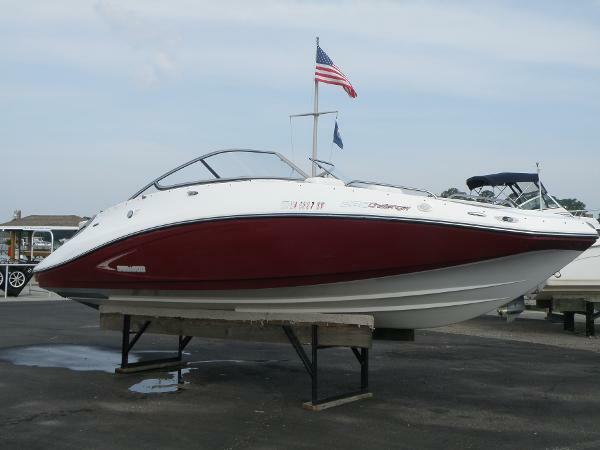 2009 Sea-Doo 230 Challenger SE (430 hp) Why pay more for less? The 2009 230 Challenger SE dramatically ups the ante with an available 510 horsepower power package, a thoughtfully redesigned cockpit with upgraded upholstery, stainless steel accents like the rub rails and cup holders, a redesigned instrument panel, and the versatility of a Fold ’n Stow walk-through door and optional retractable windshield. It's power and pleasure perfectly matched. 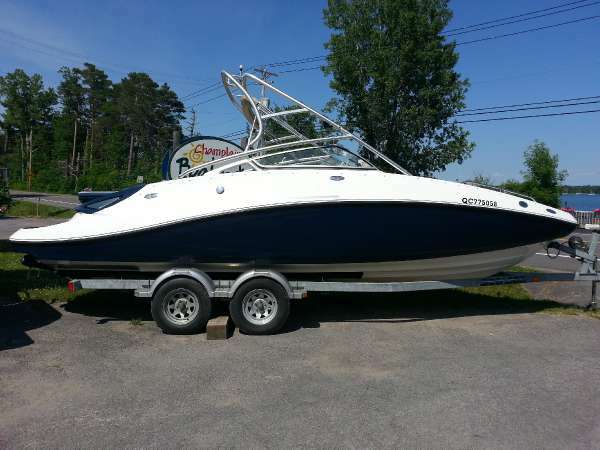 - USED 2009 SEA-DOO CHALLENGER 230 SE JET BOAT, THIS BOAT IS EQUIPPED WITH A MONSTER TOWER. 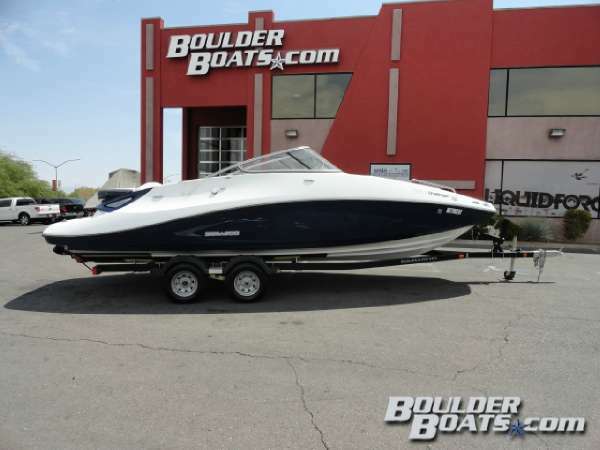 2010 Sea-Doo 230 Challenger SE (430 hp) Space for a family and all their stuff. Safety. Value. Plus standard features like a Fold 'n Stow door, reboarding ladder, snap-in carpet, and six-speaker satellite-ready AM/FM/CD stereo with MP3 port at no extra cost. 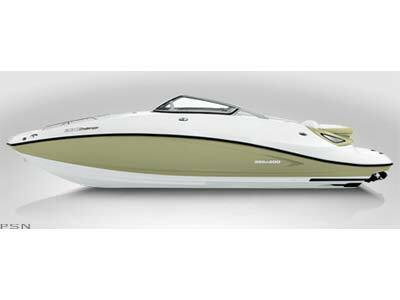 - TAKE THE WHOLE FAMILY OUT FOR LUXURIOUS BOATING FUN!